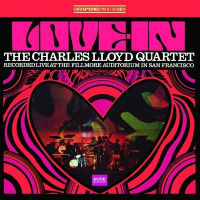 Wonders seem to never cease where Charles Lloyd is concerned. In a career spanning more than half a century, Lloyd's well of creativity has never run dry. He remains peerless when it comes to producing transcendent music. While plenty of musicians tend to slow down as they get older, the opposite seems to be happening with this septuagenarian. 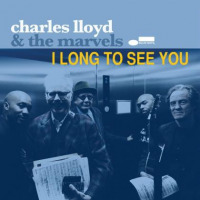 In the five years prior to the release of this album, Lloyd delivered Mirror (ECM, 2010), a superbly rendered quartet outing that touched on spirituals, standards, and originals; Athens Concert (ECM, 2011), a two-disc release which brought Greek contralto Maria Farantouri, lyra player Sokratis Sinopoulos, and pianist Takis Farazis into contact with Lloyd's quartet; and Hagar's Song (ECM, 2013), a duo encounter with pianist Jason Moran that features the five-part title suite and classics from Duke Ellington, Bob Dylan, Brian Wilson, and George Gershwin, among others. 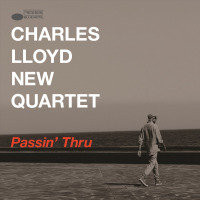 As if that wasn't enough Lloyd for jazz fans to digest, Resonance Records also saw fit to release two unearthed Lloyd live dates from the mid '60s on the historically-significant Manhattan Stories (Resonance, 2014), and Arrows Into Infinity (ECM, 2014)a documentary on Lloyd's life and musicsaw commercial release. But rest assured, Lloyd isn't using that impressive body of recent work as a reason to rest on his laurels. 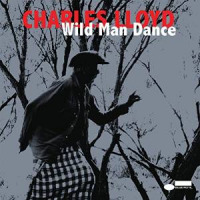 Now, thirty years after delivering his lone date for Blue NoteA Night In Copenhagen (Blue Note, 1985), an album highlighting the saxophonist's rapport with pianist Michel PetruccianiLloyd returns to that storied label with Wild Man Dance. It's a momentous occasion that turned plenty of heads when it was announced; the music itself is sure to do the same. This album presents the world premiere of a powerful six-part suite that was commissioned by the Jazztopad Festival in Wroclaw, Poland. The musicrecorded live there in November of 2013is every bit as magical as the best of Lloyd's output. 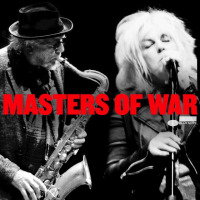 Vaporous sounds subtly segue into more intense and concrete passages, mournful and prayerful saxophone lines trace their way across nebulous foundations, and wave upon wave of rippling and tumbling sounds usher the music forward. There are proper solos to be heard and strong rhythmic threads to be followed at times, but that's not the point. Much of the wonder behind this musicand much of Lloyd's latter day outputis in the way the different instrumental voices project and coalesce. Pianist Gerald Clayton balances lightness and darkness, weight and weightlessness, and brisk and patient mannerisms in his work; bassist Joe Sanders is just as comfortable tapping into the rhythmic heart of a piece as he is working the surrounding areas; drummer Gerald Cleaver proves to be adept at creating a steady stream of flowing ideas, though he can also drive the music with a steady groove when needed; and Sinopoulos' lyra and Miklós Lukács' cymbalom add an extra dose of mysticism to the proceedings. Together, these six players commune with the musical spirits, careen across the landscape, and deliver entrancing sounds that speak to freedom, togetherness, and a search for greater meaning through music. Track Listing: Wild Man Dance Suite: I. Flying Over The Odra Valley; II. Gardner; III. Lark; IV. River; V. Invitation; VI. Wild Man Dance. 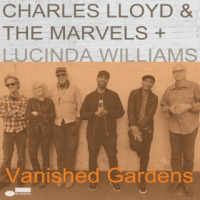 Personnel: Charles Lloyd: tenor saxophone; Gerald Clayton: piano; Joe Sanders: bass; Gerald Cleaver: drums; Sokratis Sinopoulos: lyra; Miklos Lucaks: Cymbalom.